We currently provide our customers with multiple ways of fitting or mounting their sign. The different fittings provide a completely different look to each-other and can give an old sign a new lease of life. This page is here to show you the types of fittings we can provide and how to install the fittings correctly to ensure a clean and strong mounting for your sign. We provide 3 different types of fixings, all 3 fixings are manufactured to a high standard to ensure your sign wont move. The first type of fixing is the standard mirror plates, if you're a previous customer you will be familiar with these brackets, they are provided with every sign free of charge, unless you state you would like one of the other fittings. The Mirror plates are made from brass so are suitable for external use. The second type of fixing we supply are the 15mm Satin Anodized Aluminium Stand offs. These fixings will cost an extra £4.50 on-top of the cost of your sign. The stand offs provide the sign with a more elegant look than that of the standard mirror plates. The third type of fixing we supply is the Internally threaded coverhead and screw mounting. with a similar beauty to the standoffs, however they're only a screw cap to give the same look. Please note we do not supply the screws for attaching the sign to the wall or fence, please use appropriate screws and/or plugs for the size of sign and the material attaching to. EITHER half way up rear of the sign verticals (or slightly higher). Make sure the measurements on left and right are both the same distance from the top edge of the frame. Using two screws - and the guide marks - screw the mirror plates to the sign, do not over tighten or the timber could split. 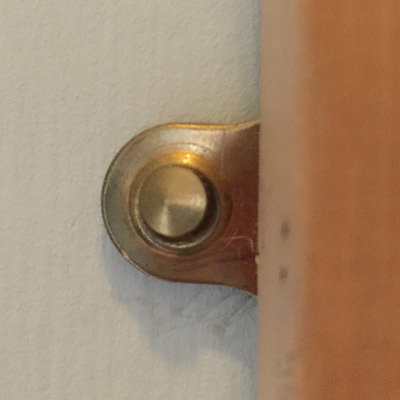 Offer the sign up to the wall and fix with appropriate screw (into timber) or using the protruding hole as a guide, take a pencil with a long point and mark out where to drill. Before you drill the second hole check that the frame is level using the spirit level and make any necessary adjustments to level it up.